Cleanliness forms half of a Muslim’s faith with a particular strong emphasis found on this particular aspect in the Qur’an and Sunnah. 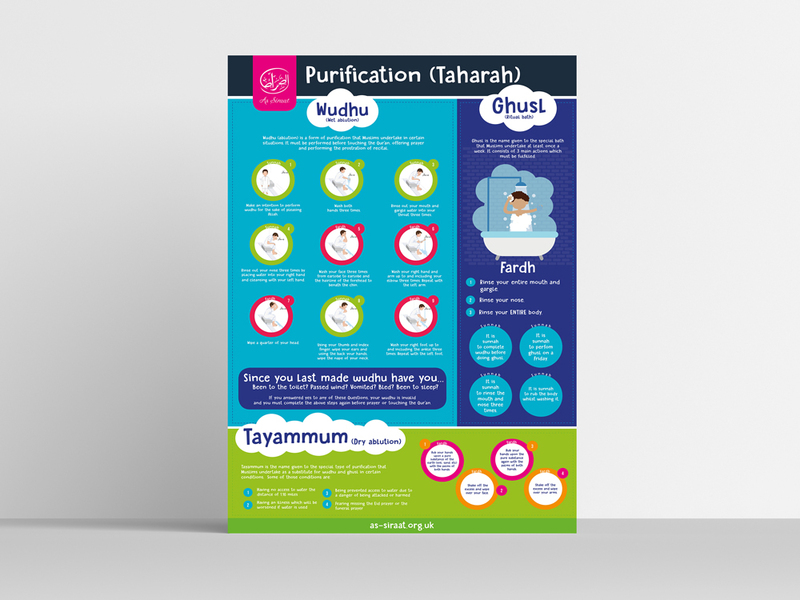 This unique poster looks at three ways of attaining cleanliness with readers being exposed to a crash course in wudhu, ghusl and tayammum. Handy images make the poster accessible and easier to memorise with categories of the steps of wudhu and ghusl clearly labelled. The poster also boasts a concise yet detailed introduction to each of the components of cleanliness.